CMRL Career Recruitment 2018-2019 Application Form for 03 Engineer (Safety), Asst. Manager (Track) / Dy. Manager (Track) / Manager (Track) Posts Download Application through Official website www.chennaimetrorail.org. 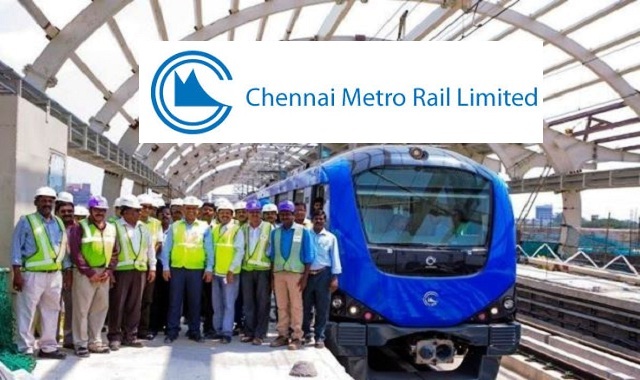 CMRL Engineer (Safety) Jobs Notification 2018 Released. The Interested and Eligible Candidates are requested to Download Application through Official website. CMRL Walk-in Drive 2018 Engineer (Safety) Posts - Apply Soon. Medical Examination: Expenses for the first time medical examination of the candidate will be borne by CMRL. However, in case a candidate seeks extension for joining, then the second time medical examination expenditure will be borne by the candidate. To & fro travel expenses for the medical test shall be borne by the candidate. The candidate who fails in the prescribed medical test will not be given any alternative employment and decision of CMRL is final on this issue. KOYAMBEDU, CHENNAI - 600 107."